I’m just not sure how to feel about this. I decided to watch Raging Bull because this week’s Top 10 Show featured Boxing Movies and my list was severely lacking in some major ways. This was one of them so I chose the Thanksgiving binge watch would start with this Scorsese classic. However, I am just not sure how to feel. I absolutely HATED Jake LaMotta (Robert DeNiro). I found him so unlikable that in the first half hour or so, I considered shutting the movie off. I did not like any of the characters on the screen, including Jake’s brother Joey (Joe Pesci) or his soon-to-be child bride Vickie (Cathy Moriarty). But I persisted with the hope of seeing this group of people suffer from their horrible choices. That might not be the most empathic reason to keep watching a movie, but I had to find what I could. Along the way, I started watching the ambiance and the mood being created by Martin Scorsese and the performance of Robert DeNiro. The film is beautifully shot, with the black and white imagery and the dreamlike state at times. The boxing matches may not measure up to the realism of today’s standard, but they are dramatic and told a story. 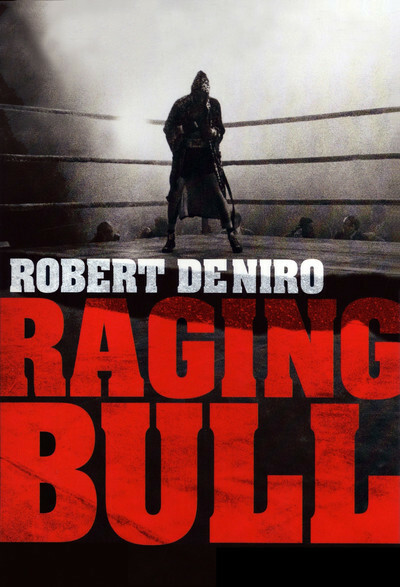 I saw DeNiro take this mean, unbelievably jealous, rotten abusive human being with a violent temper and send him through the wringer, self-induced as it may have been. Jake LaMotta had a lot to be thankful for, but he was too crazy or insecure to accept that. He self destructed completely. The scene of him pounding the wall of the jail cell was remarkable. So while I never came around on Jake LaMotta as a character, the film itself won me over. The raw feel of the characters and the amazing look of the movie makes this a classic.